Risale a cinque anni fa ma esce solo ora dagli studi di registrazione The Natural Order, primo discorso a quattr'occhi tra Fred Frith e John Butcher, riportato nell'ordine del suo svolgersi. Lo diffonde l'etichetta indipendente Northern Spy, erede a Brooklyn dell'ESP-Disk. Guitarist Fred Frith and saxophonist John Butcher are titans within the world of improvised music. Over the last four decades, each of these two men has permanently altered the way in which his instrument is heard: Frith with his (at times literal) deconstruction of the electric guitar, and Butcher with his exploration of the physical properties of sound and extended playing techniques. 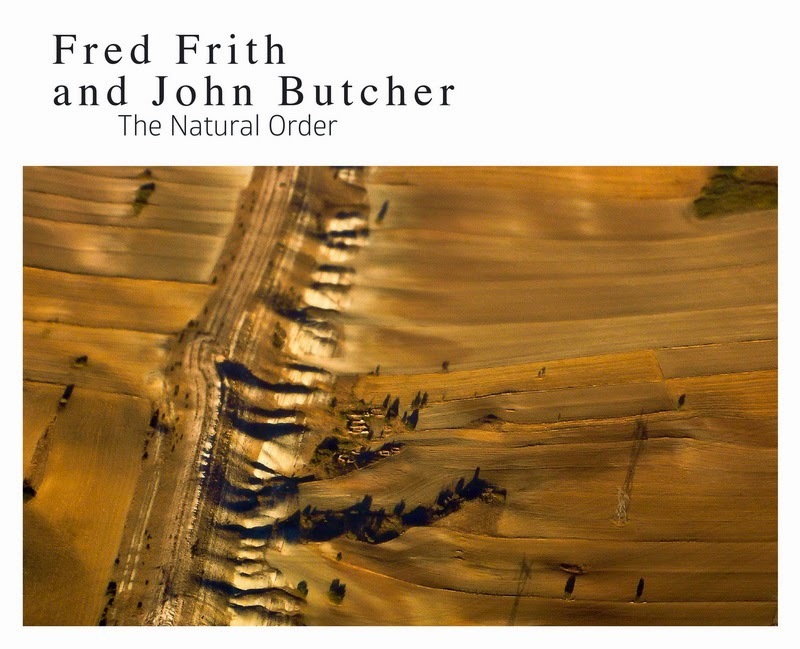 Though they’ve played live together a few times, The Natural Order, recorded in 2009 and mixed in 2012, documents Frith and Butcher’s first head-to-head encounter in a recording studio. The album is as pure a document as possible: recorded in a single stretch, with no overdubbing, the 10 tracks appear here in the order of their creation. It captures a single hour of unmediated interaction between two restless, creative spirits determined to make every moment with their respective instruments count. It’s not jazz, it’s not rock, it’s not noise: it’s pure music, the product of two men in one place at one time, unique and unrepeatable. Northern Spy is a Brooklyn-based independent record label formed by former staff of the legendary ESP-Disk’ imprint. As an artist-run label, Northern Spy shines the light on musicians who are tenacious, forward-thinking and making devil-be-damned fine music, while finding substance in the disparate worlds of free improvisation and popular music.